Crab balls are a celebration in every bite. Okay that is a bit expressive – but as a cajun and a person that just looooooves food – how can I not be? This recipe is an example from my Busy Parent Health and Fitness program. It is simple, quick and delicious! In a large bowl, whisk together mayonnaise, mustard, Old Bay seasoning, cayenne and yolks and add crab meat and salt and pepper to taste, tossing mixture gently but thoroughly. 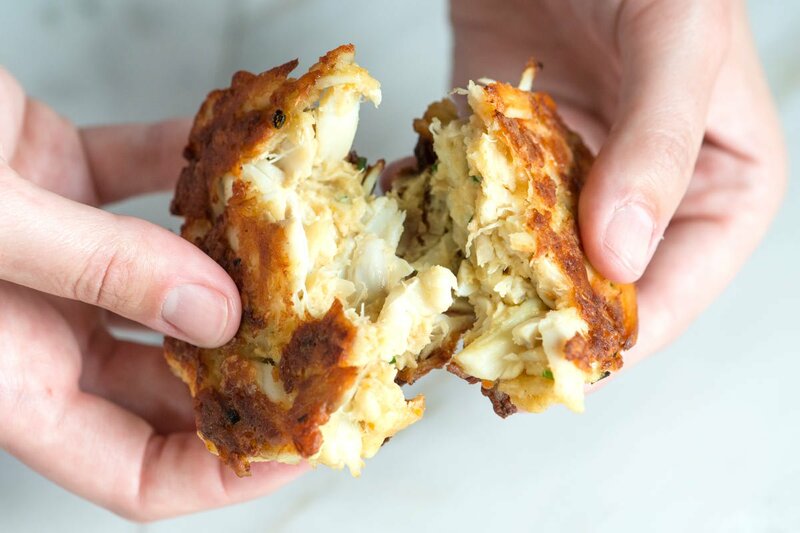 Form crab mixture into balls and gently coat crab cakes with cornflakes, transferring as coated to a wax-paper-lined baking sheet. Chill crab cakes, covered with plastic wrap, at least 2 hours and up to 4 hours. Preheat oven to 400F. Transfer crab cakes to a large baking sheet. Spray with vegetable oil spray and bake in the middle of the oven until crisp and cooked through, about 15 minutes.